HELLOMED always appreciates feedback from our valued patients. To date, we’re thrilled to have collected 27 reviews with an average rating of 5 out of 5 stars. Please read what others are saying about HELLOMED below, and as always, we would love to collect your feedback. It was extremely easy to make an online appointment for same day. The facilities are small but very clean. Staff was very personable and the doctor was friendly, and informative. I did not feel like she was rushing through the appointment. I will definitely use this location again for other services. Extremely friendly staff, and a clean and welcoming office! I came in with a broken ankle a few months ago. My temp cast was giving me problems 5 days later. I called and said I would be coming back in. The staff took me in as soon as I got there and put a new cast on. The staff is wonderful. Thank you. Everyone was very professional, knowledgeable and fast. Thank you! Smooth check in. Provider was great with kids. I will definitely return. I came in for a visit and the doctor was very friendly and provided great care. 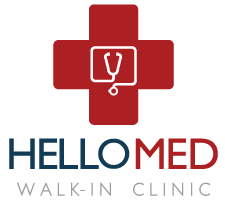 The staff and physician at Hellomed were discrete and kind from start to finish. I was received and my medical concerns were handle with thoughtfulness and sensitivity. I came aware feeling confident about the circumstances that brought me there. I highly recommend others to visit Hellomed. Great place to get a physical exam; very clean, straightforward, nice! Easy to get an appointment online! Staff was very friendly. Choose HELLOMED off of the reviews I had read, I booked and appt, went at my appt time, sat maybe 5 mins or so and then I was taken back. The office was super clean, which made me feel better! I’d definetly go back there again! Basically very kind. Moreover, great with detailed analysis and diagnosis based on sufficient and deep conversation. I was pleasantly surprised with the service. It is a very small office but not cramped. I felt like I was given all the time I needed for my visit and all of my questions were answered knowledgeably and respectfully. This place is awesome. So easy to book an appointment - quick in and out - and the doctors and staff are friendly and knowledgable.